Looking for some travel inspiration? Check out five incredible South American countries perfect for your next holiday! Spanning from Brazil in the north through to Chile in the south, these unforgettable destinations offer so many incredible things to see, do and experience. Bordering Ecuador, Colombia, Brazil, Bolivia and Chile, Peru sits on the west coast of South America, just below the equator. The country’s eastern edge faces the South Pacific Ocean, while it’s western side is covered in the lush greenery of the Amazon Rainforest. What is Peru best known for? While there is so much to see, do and discover across the country, Peru is perhaps best known as the home of Machu Picchu and the Inca Trail. Incredible remnants of the Inca Empire, the history of both attractions is intertwined and offers an insight into pre-Columbian America’s largest empire. Peppered with beautiful beaches, impressive mountain peaks and sections of the expansive Amazon Rainforest, Peru is a country that is geographically diverse and nothing short of spectacular. From its vibrant cities and secluded villages to the countless historic sites and rich culture held by its people, it’s a country with so much to offer. What are Peru’s most popular destinations? 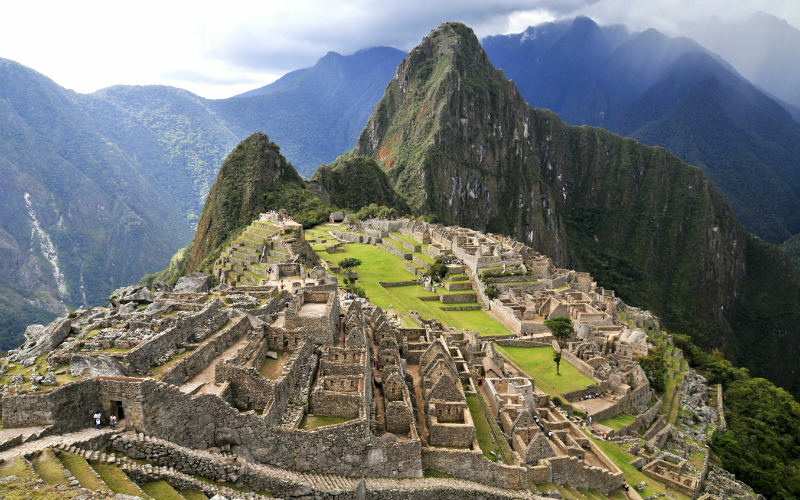 Machu Picchu – a well preserved example of an Inca settlement that dates back to the mid 15th century. The Inca Trail – a section of the Inca road system that leads from the Sacred Valley to Machu Picchu. 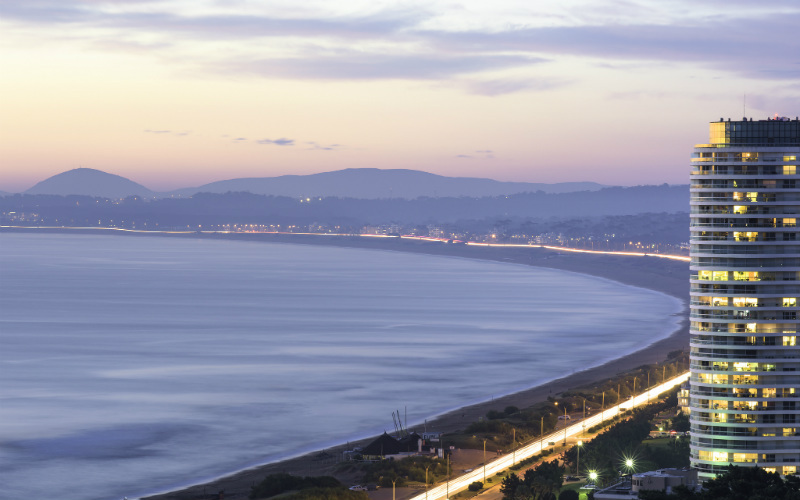 Lima – a vibrant city filled with history, culture and incredible dining options. Nazca Lines – mysterious ancient geoglyphs (images carved into the earth) located within the Nazca Desert. Cusco – the gateway to Machu Picchu and a city abundant in Inca heritage. While Peru is great at any time of the year, the dry season, which falls between May and October, is generally considered to be the best time to visit the country. It’s during this time that the country often enjoys fairer weather without the hot temperatures experienced during summer, but does, however, also see a higher number of visitors from abroad. Sandwiched between the Pacific Ocean and the Andes, Chile is a South American country that borders Peru, Bolivia and Argentina. Located on the continent’s west coast, the country’s Pacific coastline is incredibly long, covering a total of more than 5,000 km. What is Chile best known for? Although Chile has come to be known for its fine wine varietals, the country’s landscapes and local cultures are among its greatest assets. Spanning from the Atacama Desert, the driest place on earth, through to wild waters of Cape Horn, the country’s most southerly point, Chile’s natural beauty is captivating and encompasses everything from lush forests and icy glaciers through to wild sand dunes and wide open plains. Each of its cities and towns provides a different introduction to the local culture, but with rich heritage and fantastic hospitality, you’re sure to feel right at home. What are Chile’s most popular destinations? 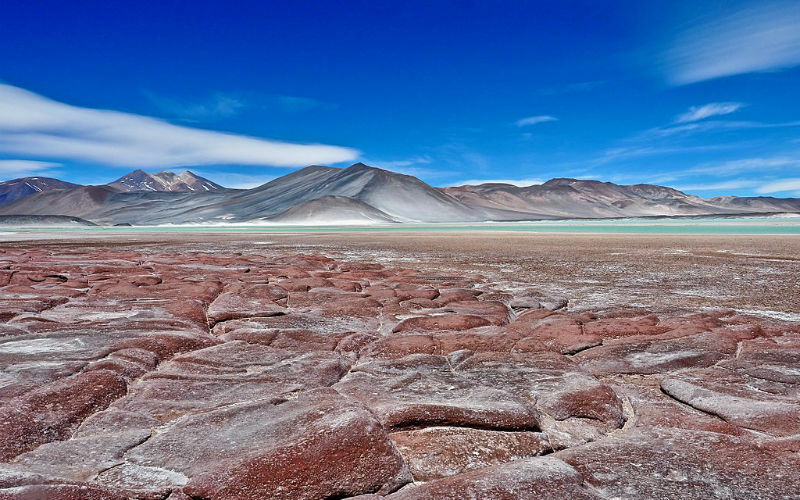 Atacama Desert – one of the driest place on the planet, this remarkable landscape is breathtaking and the perfect destination for unforgettable stargazing. Santiago – a city overlooked by the snow-capped peaks of the Andes, the country’s capital seamlessly combines the passion and flair of South American and European cultures. Torres del Paine National Park – a national park in the Patagonia region that is home to grand peaks, icy lakes and spectacular peaks. Easter Island – although located in the Pacific Ocean, this mysterious remote island, perhaps best known for its incredible statues, is officially a territory of Chile. As with Brazil, Chile is home to several regions that are best experienced at different times of the year. Santiago and Central Chile are great to visit at any time of the year, but are at their best during spring and autumn when tourist numbers are smaller, while the Southern Chile and the Patagonia region tend to offer the best conditions during the summer months. Northern Chile can also be explored at any time of the year, but those heading towards the Atacama Desert should be aware that the temperature often drops dramatically following nightfall. Piedras Rojas, Atacama Desert, Chile. Image Credit: Wescottm / CC by 4.0. Situated in the lower half of South America, Argentina is bordered by Chile, Bolivia, Paraguay and Uruguay. With its eastern coast facing the South Atlantic Ocean, Argentina is a country that boasts beautiful beaches, rugged mountain peaks and almost every other type of landscape in between. What is Argentina best known for? The home of tango and some of the world’s most fanatical football supporters, Argentina is destination that exudes incredible gusto. Not only do its eateries serve up some of the world’s best beef and its landscapes showcase the region’s incredible beauty, but the local culture is rich and edgy, intertwining the best of South American and European sensibilities. Although appearing to be less exotic than some of its neighbours, it’s Argentina’s unique character, culture and way of life that sets it apart in this remarkable part of the world. What are Argentina’s most popular destinations? Buenos Aires – a South American city complete with a touch of European flair, historic neighbourhoods and a fantastic dining scene. Iguazú National Park – the home of the world renowned Iguazú Falls and a wide array of native plants and animals. 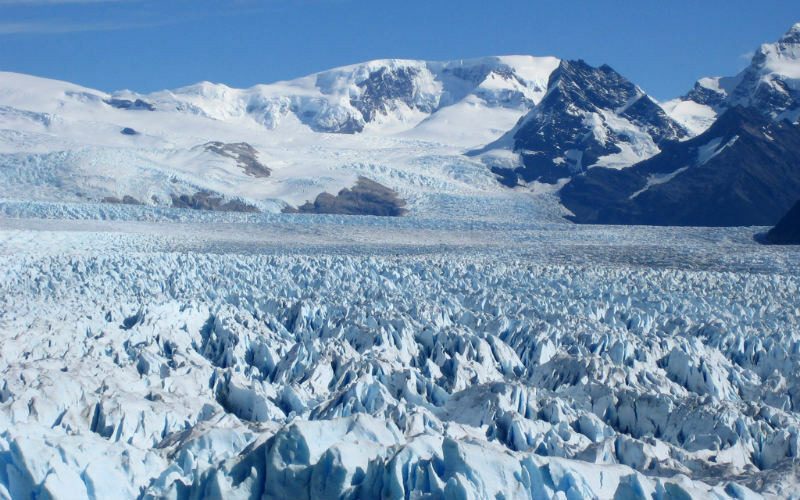 Perito Moreno Glacier – a standout attraction of Argentinian Patagonia, this glacier is expansive and nothing short of breathtaking. Córdoba – featuring a great collection of Spanish colonial architecture, this city juxtaposes the historic with the cutting edge. Most of the country experiences quite temperate weather throughout the calendar year, but some areas, especially the south, can be rather cold during winter, while others, particularly in the country’s north can become hot in the summer months. Coinciding with the country’s peak seasons, winter and summer are best avoided, making autumn and spring, as a general rule, great times to visit. If you do plan to explore the Patagonia region, summer is a good option, offering longer and warmer days. The largest country in South America, Brazil sits in the northeast of the continent, bordering almost every other nation in the region. While a country’s western side is primarily landlocked, the eastern half of the country is bordered by the waters of the North and South Atlantic Oceans. What is Brazil best known for? The home of the incredibly colourful and iconic Carnaval celebrations, Brazil is a country of great natural beauty, culture and passion. Golden beaches, the spectacular Amazon Rainforest and one of the world’s most diverse ecosystems help to make the country an unforgettable sight to behold, while the diversity of its cities singles it out as a destination quite unlike any other. 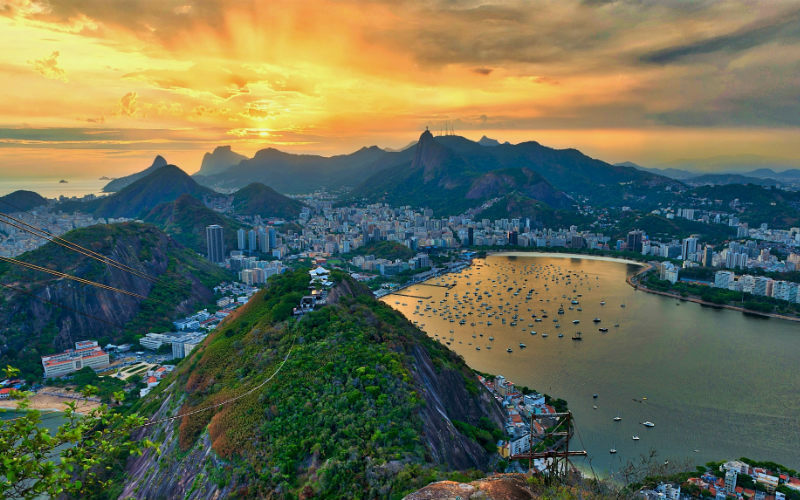 Covering a large portion of the continent, Brazil is expansive, diverse and can be experienced in so many different ways. What are Brazil’s most popular destinations? Copacabana Beach – one of the world’s most famous beaches, this popular stretch of sand attracts visitors from across the globe, all year round. Christ the Redeemer – an icon of Rio de Janeiro and wider Brazil, this giant statue overlooks the city and is an incredible sight to behold. São Paulo – boasting a unique blend of architectural styles and a history spanning close to 500 years, this city is not only the country’s financial centre but also its largest. 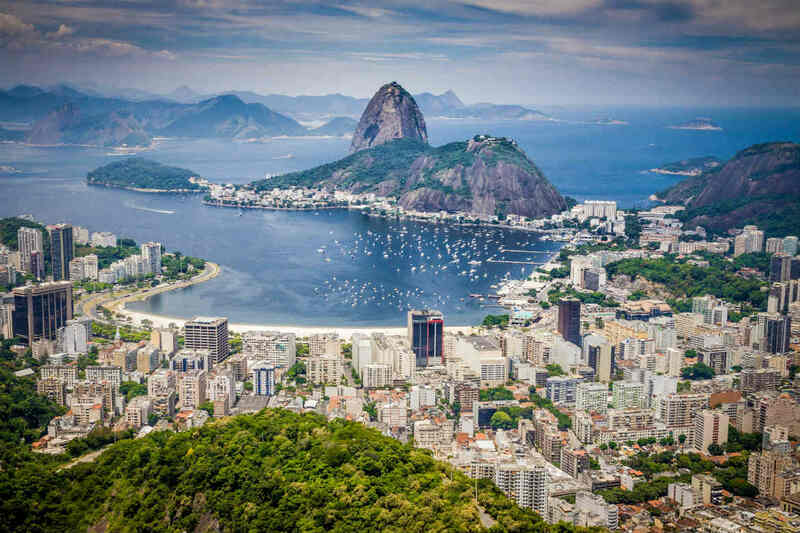 Rio de Janeiro – home to the world renowned Carnaval festival, this lively city is home to unmissable attractions, great outdoor activities and its own vibrant culture. Covering such a large area of the continent, it is difficult to pinpoint one specific time of year that is best to experience Brazil. As a general rule of thumb, the areas closer to the equator are quite warm throughout the year, while southerly regions, including Sao Paulo, tend to experience more distinct seasons. The country’s summer months, December, January and February, can be very hot and humid, while also coinciding with the peak travel season. For theses reasons, you should consider traveling in autumn, spring or even winter (it can be quite mild closer to the equator). Sharing its borders with both Brazil and Argentina, Uruguay is not only one of South America’s west coast countries but is also among its smallest. Its southern edge faces towards the South Atlantic Ocean, while its interior is largely covered with rolling plains. What is Uruguay best known for? Once overlooked in favour of its larger neighbours, Uruguay has emerged as an unmissable destination in its own right. Home to a laid back vibe and a progressive government, the country boasts vibrant cities, picturesque landscapes and no shortage of authentic and unforgettable travel experiences. From the glitz and glamour of beachside resorts through to rural farming villages, it’s a welcoming part of the world that offers no shortage of tranquil moments and indelible encounters. What are Uruguay’s most popular destinations? Montevideo – this sprawling capital is lively, intriguing and certainly not lacking when it comes its to its vibrant cultural scene. Plaza Independencia – considered to be Montevideo’s largest and most important plaza, this site pays tribute to José Artigas (a national hero) and houses some of the city’s iconic structures. Punta del Este – known as the ‘St Tropez of South America’, this resort town is not only a playground of the rich and famous, but is also home to some beautiful beaches. Colonia del Sacramento – a World Heritage listed site, this picturesque town is filled with the kind of charm, colour and architecture that dates to a different era. Experiencing four distinct seasons, Uruguay’s high season coincides with the summer months, when tourists from across South America flock to the country’s beaches and coastal regions. Offering good weather without the crowds, the period from October to mid December is a great alternative to the high season. Punta del Este, Uruguay. Image Credit: Jimmy Baikovicius / CC by SA 2.0. Ready to see and experience the best of South America? Book an unforgettable South America tour with Webjet Exclusives today!